Appointments are necessary and should be made at least two weeks in advance. Avoid scheduling meetings in August (the month of summer vacation) or on workdays next to a public holiday. Common ways to make an appointment are in writing or by telephone. Depending on the level of the person you are meeting, the appointment scheduling is often handled by the secretary. Punctuality is valued and appreciated in French business culture. Offer business cards to the receptionist or secretary upon arriving in an office, and to each person you subsequently meet. Print business cards in either English or French and be sure to include your academic degree and/or title. Titles should be used in both correspondence and in face-to-face meetings. Style of dress is very important in French business. For men, office and corporate wear is formal, usually consisting of a suit and tie. For women, fashionable and fairly modest wear is common. The order in which people enter a room is based on rank. Wait to be told where to sit, as seating arrangements are in order of ranking. Meetings typically follow an established format with a detailed agenda. Business tends to be conducted slowly. Be patient and avoid appearing disgruntled by the strict adherence to protocol. The deliberation and decision-making processes are also quite slow. However, they are done outside of the meeting. The French dislike confrontational behaviour or high-pressure sales tactics. They are more receptive to a low-key, logical presentation that thoroughly explains the advantages of a proposal. The French like to carefully analyse every detail of a proposal. A more formal, logical tactic allows the French to debate and ask questions about the point of negotiation. When an agreement is reached, your French counterpart may insist the agreement be formalised in an extremely comprehensive, precisely worded contract. Also allow for plenty of time for the contract to be finalised. Creating a wide network of close personal business connections is considerably important for the French. They are interested in long-term partnerships that are maintained through regular face-to-face visits. Mutual trust and respect are seen as necessary in order to establish a strong relationship. Trust is earned through proper behaviour and demonstration of courtesy and formality. However, French people tend to maintain a clear distinction between their business lives and personal lives. Thus, avoid attempting to be overly friendly as your French counterpart may interpret this as an attempt to develop a friendship. One of the most important characteristics of French business culture is the emphasis on courtesy and formality, particularly through communication. The French are often impressed by those who exhibit good debating skills. For them, this demonstrates that the debater has an intellectual grasp of the situation and possible ramifications. The French may seem direct, especially when asking probing questions. Discussions may be heated and intense at times. Along with direct verbal communication, try to maintain direct eye contact while speaking. This will help you gain respect among your French counterparts. Many French speak and understand English but generally prefer not to communicate with it. Out of courtesy, check ahead of time if the executives speak English. This way, you will be able to arrange for an interpreter, although it is often not necessary. If you do not speak French, attempt to learn a few key phrases and offer an apology for not knowing their language. This will aid in developing a relationship as it demonstrates respect towards your French counterparts. Businesses in France are typically hierarchical and centralised. Decisions are made at the top of the company. The boss of the company will be authoritative. Professionalism is highly valued and is generally the key to acceptance by your French counterparts. Hard work is admired, but generally the French frown upon workaholism. The typical working week in France is 35 hours. Most French do not like to discuss business during dinner. Dinner is considered to be more of a social occasion and a time to enjoy the food, drinks and discussions. 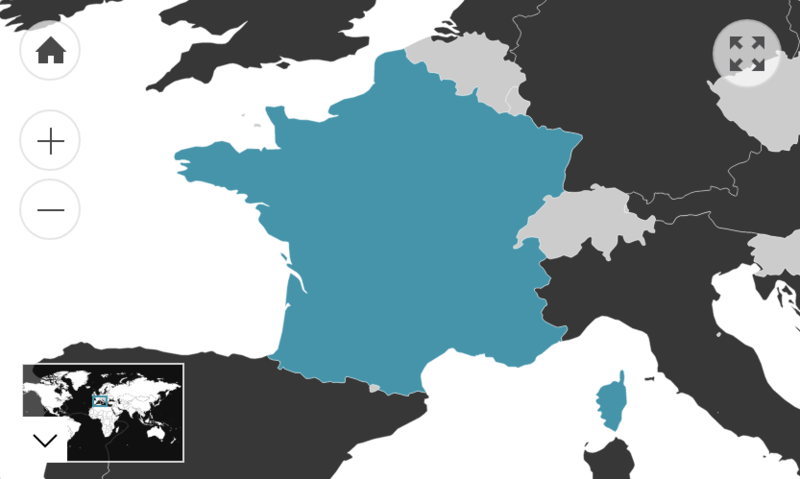 France is a member of the EU; thus the country is subject to EU trade regulatory requirements. On the Corruption Perception Index (2017), France ranks 23rd out of 180 countries, receiving a score of 70 (on a scale from 0 to 100). This perception suggests that the country’s public sector is moderately clean from corruption.